This beautifully remodeled open floor plan home will not last! Priced to sell! On the main floor lives an oversized master suite with a large walk in closet and brand new master bathroom. The updated kitchen has new stainless steel appliances and granite countertops that opens up to the living room. The main floor has tons of windows for natural light and even has a large fully enclosed bonus sunroom (not included in the square footage - simply add heating for instant additional square footage). A second large bedroom on the main floor connects to an updated full bathroom. The spacious finished basement has a media room, two oversized bedrooms (non-conforming) and an updated 3/4 bathroom. The large fenced in backyard has a tuff shed for any additional storage needs. 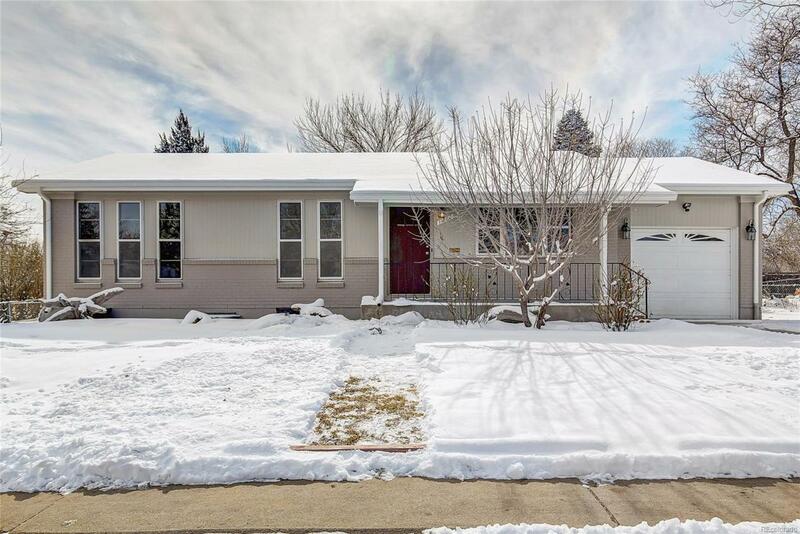 This home is conveniently located close to I25 and your everyday shopping needs like Safeway, Sprouts, Target, Chipotle and many more restaurants. Only 20 minutes to Denver, 30 minutes to Boulder and the Airport. Offered by Investment Management Group Ltd.